Please complete the form below and your enquiry will be sent directly to White Shark Guest House via email. 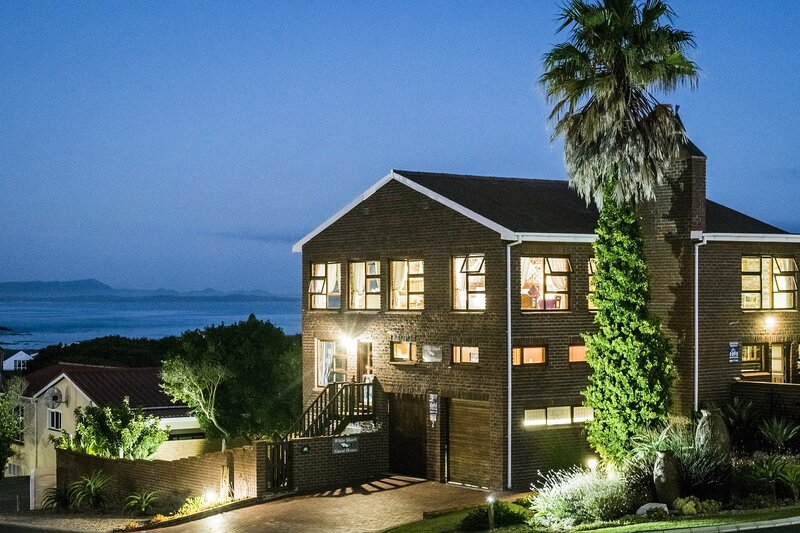 Your enquiry has been sent to White Shark Guest House. 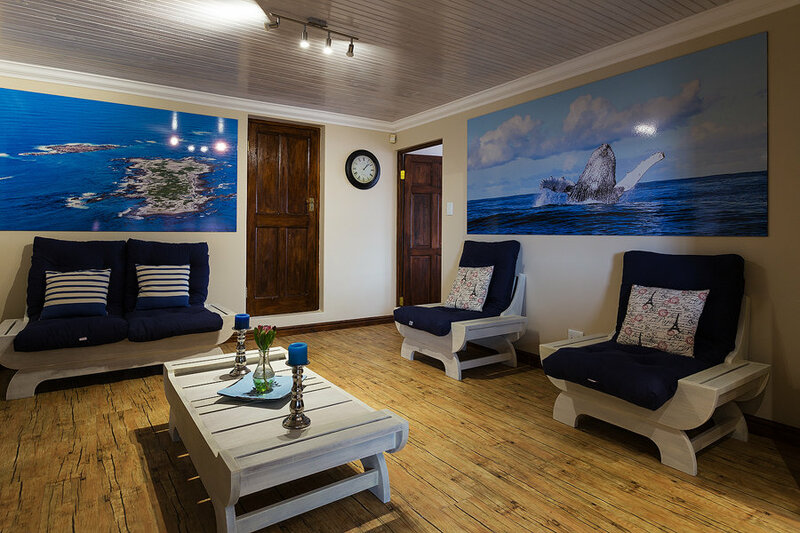 White Shark Guest House is located in Kleinbaai 400 meters from the harbor where shark cage diving and whale watching boats departure to get a real close up with the big 2. 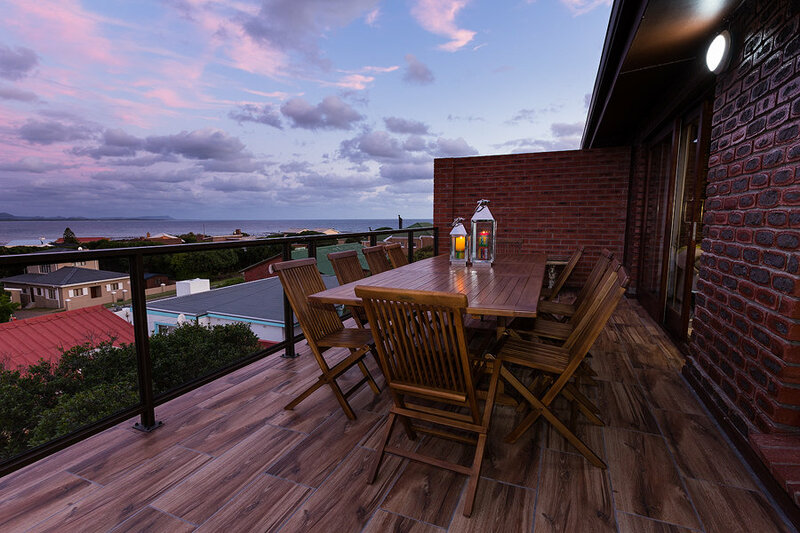 Featuring view of the Atlantic Ocean, this elegant furnished four star bed and breakfast offers stylish rooms, large living room and patio's overlooking the ocean. 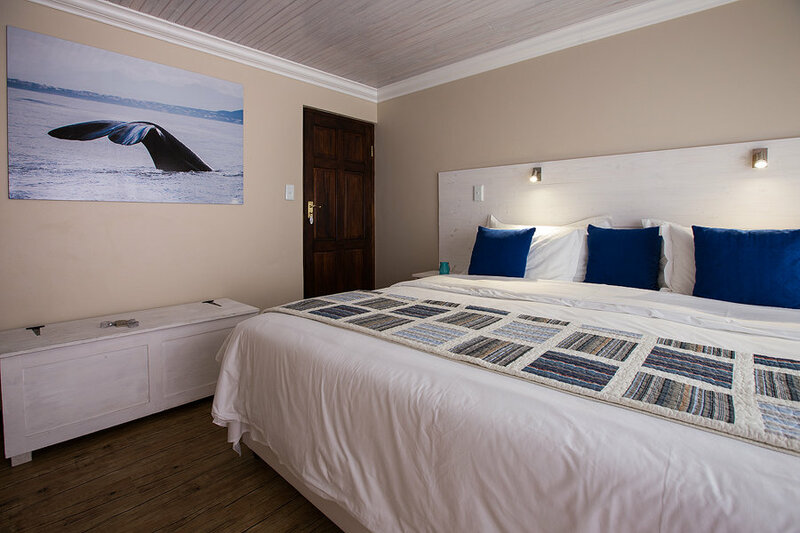 Located in the little village of Kleinbaai near Gansbaai, White Shark Guest House is the natural choice for any traveller, adventurist or businessman. Kleinbaai is home to Shark Cage Diving and Whale Watching and thus allow visitors to get up close and personal with our Big 2. 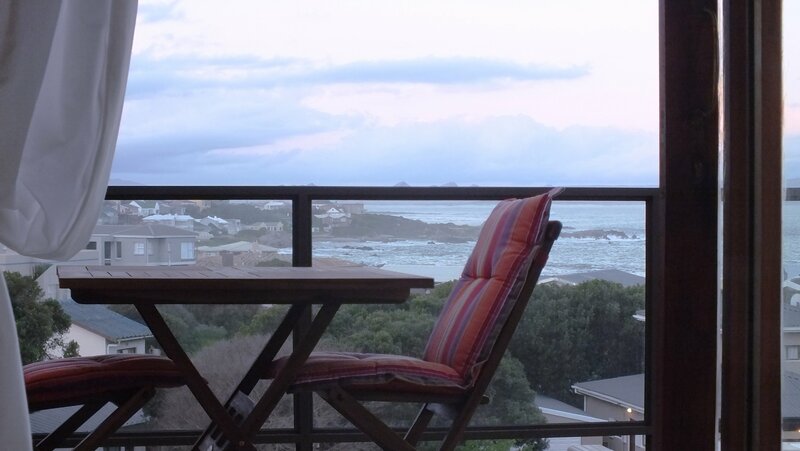 The Guest House is walking distance from the natural habour of Kleinbaai from where the shark cage boats launch. White Shark Guest House can organize a cage dive trip for you, or even a whale watching trip. 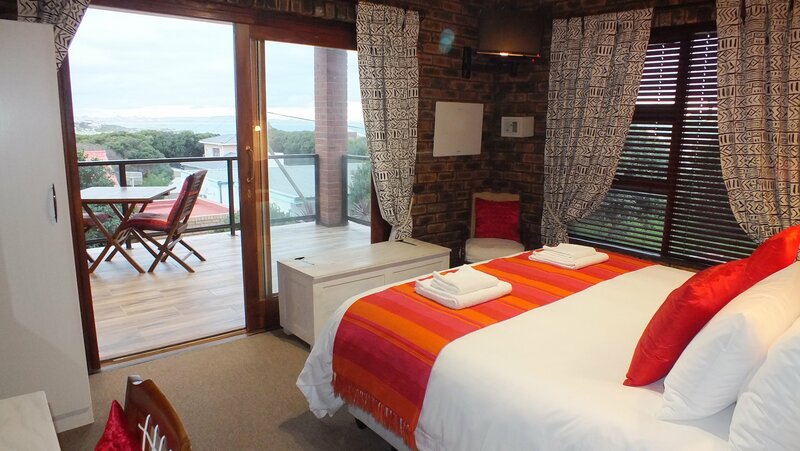 All rooms have en-suite bathrooms, crisp percale linen and beautiful ocean views. 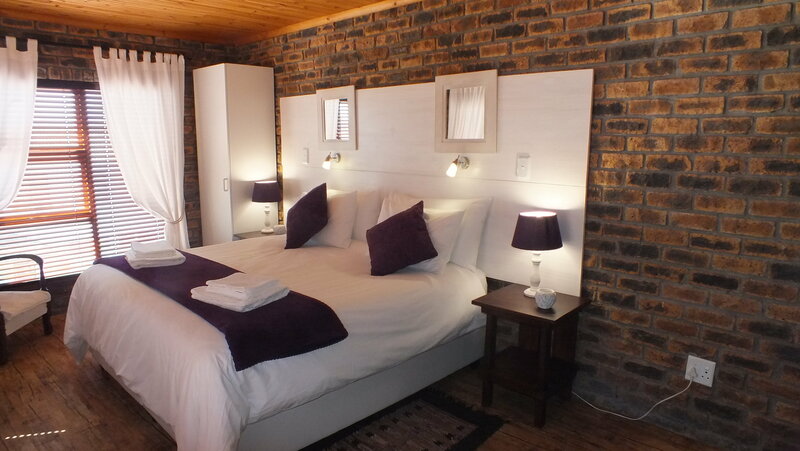 the rooms are individually decorated and helps you stay connected with free wireless internet. The second floor of the Guest House gives way to a comfortable lounge area with games and a TV. The big comfy couches allow you to get comforatble with a cup of coffee/ tea and get lost in a book on those rainy days. 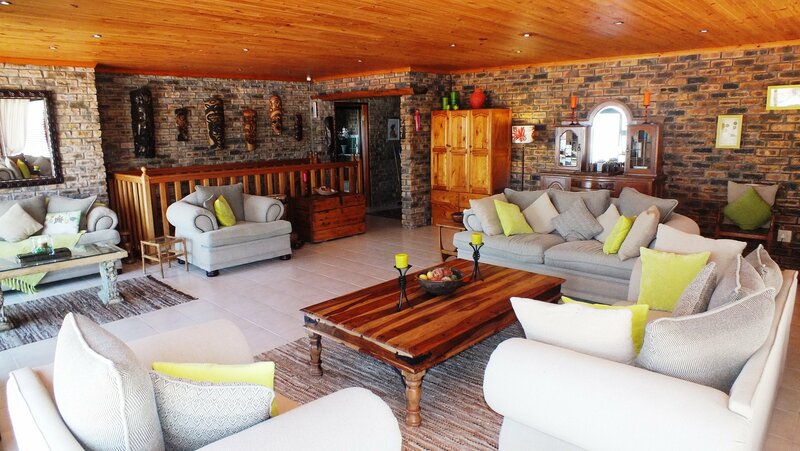 The main guest area also holds a kitchen with self-catering facilities and a built-in braai. Spaces ground floor cottage with two luxury bedrooms. 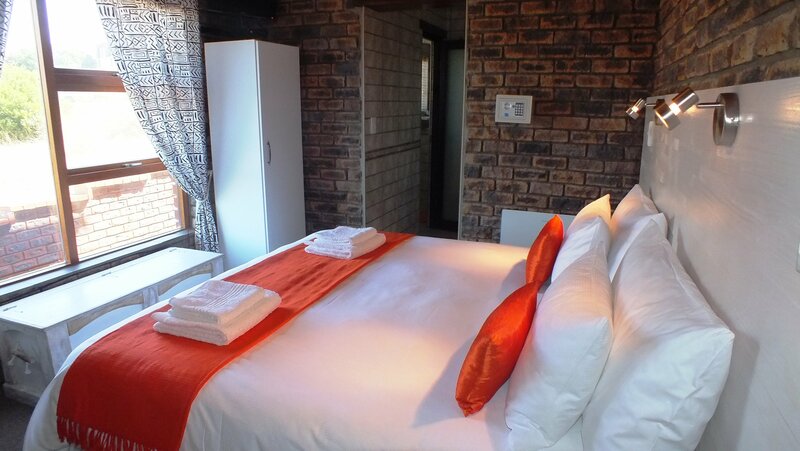 Each room comes with a full en-suite bathroom. 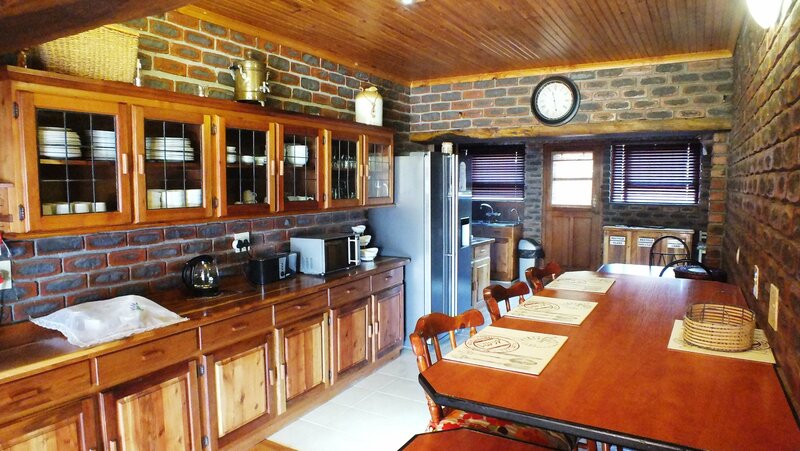 A open plan lounge and fully equipped kitchen to prepare your own lunch or dinner. 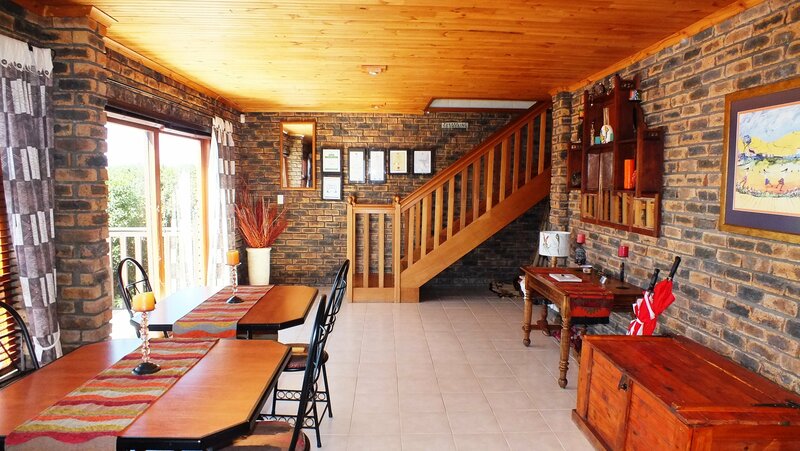 A private garden with braai/barbeque facilities is also available. This room features a magnificent view over the ocean. Elegantly decorated and located on the top floor. It comes with a private balcony and seating area. It boasts a four poster king-size bed, free Wi-Fi and large en-suite bathroom with a spa bath, shower and double basin. Luxury Double or Twin room with sea view. 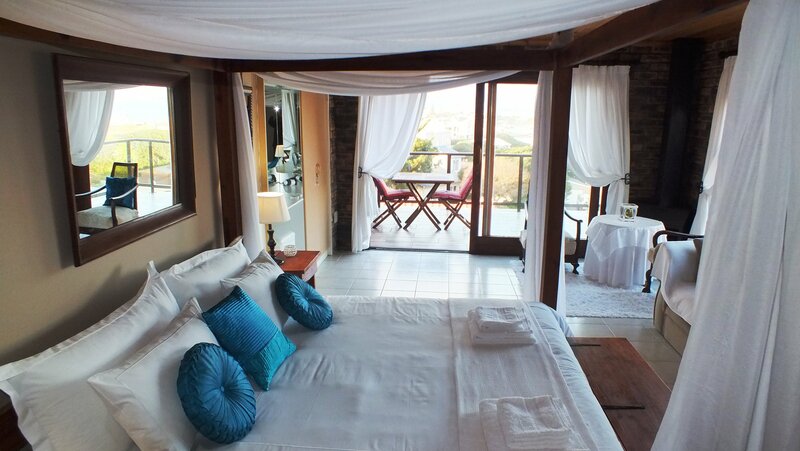 This light and airy room is located on the first floor and offers views of the ocean. It comes with a private balcony. It boasts a King-size, or 2 single beds with free Wi-Fi. The large en-suite bathroom includes a bathtub, shower and handheld shower. This warmly decorated room is located on the first floor. It has a King-size, or 2 single beds and free Wi-Fi. The room has exposed brick walls and modern furniture. The en-suite bathroom is equipped with a shower. This bright and spacious room with exposed brick walls and wooden ceiling is located on the top floor and features views of the mountain. 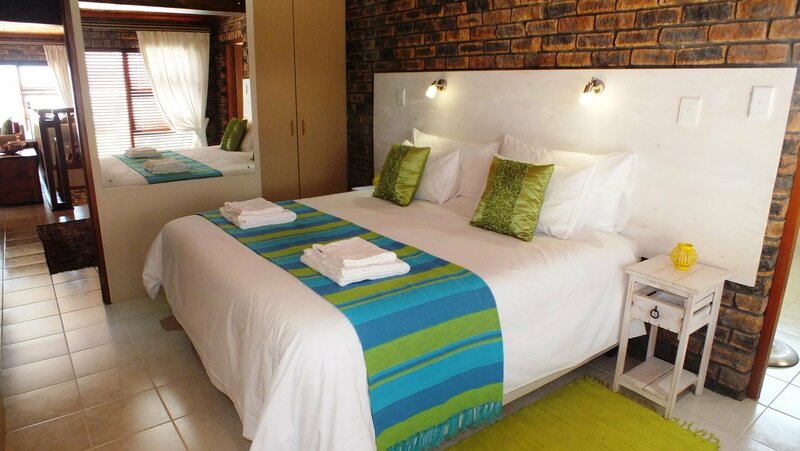 It comes with a king-size bed or 2 single beds and free Wi-Fi. The modern en-suite bathroom comes with a shower. This comfort elegantly decorated room with tiled floors, is located on the top floor. It comes with a king-size bed and free Wi-Fi. 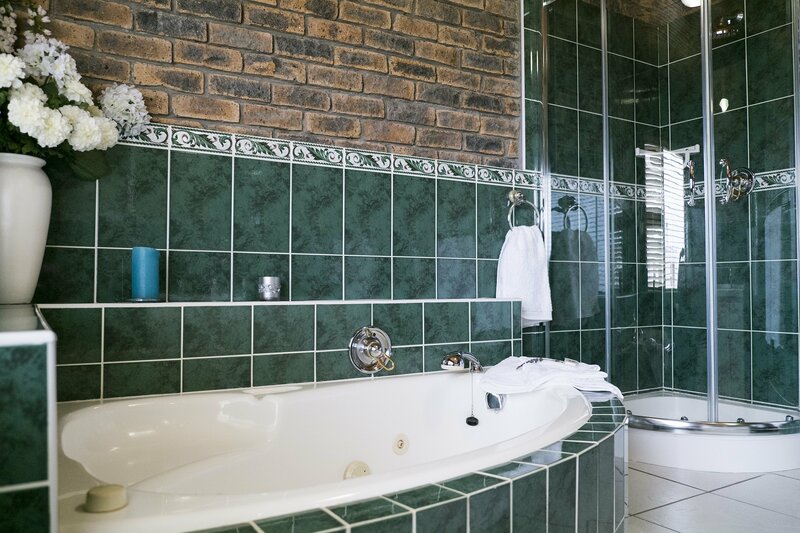 The Large en-suite bathroom includes a bathtub, shower and handheld shower. 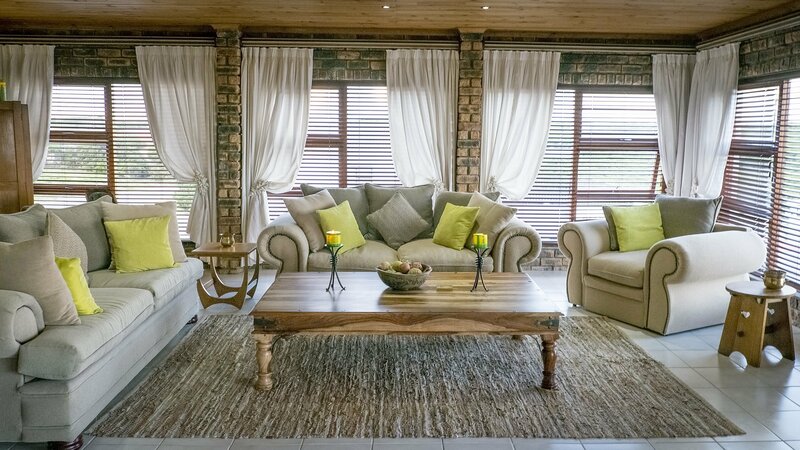 Sapces ground floor family cottage with two luxury bedrooms consist of a King size bed and 2 single beds. 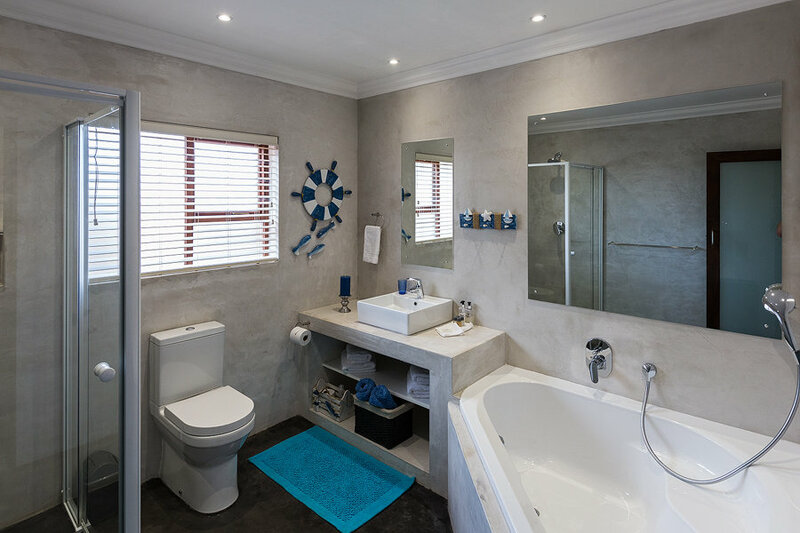 The en-suite bathrooms comes with bathtub, shower and handheld showers. 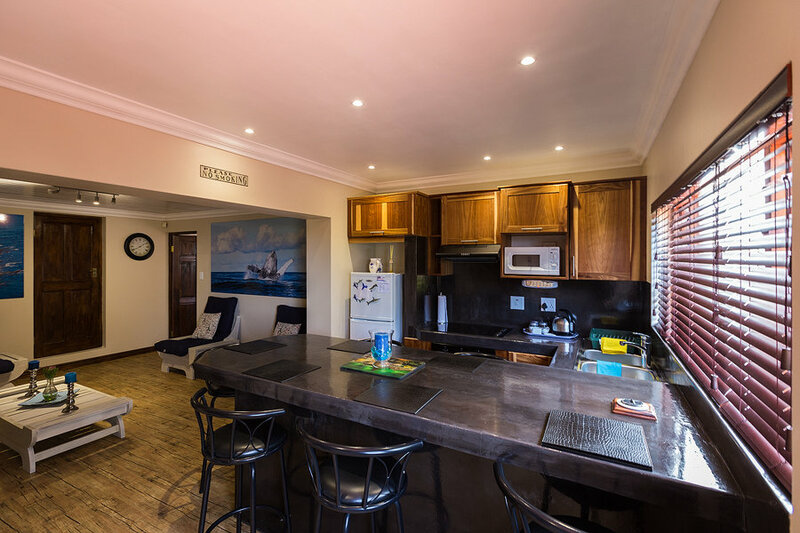 A fully equipped kitchen with open plan lounge area and private garden with braai/barbeque facilities. In 1990, South Africa was the first country in the world to protect the Great White Shark. Kleinbaai is the home to Great White Shark Cage Diving. With the 50 000 Cape Fur Seals living on Dyer Island, the Great White sharks have a natural feeding ground. All shark cage diving boats launch from Kleinbaai's natural harbour and give visitors the opportunity to experience the Great White Shark up close and personal. The excursion takes between 3 – 4 hours. No scuba experience is required. Sighting great white sharks from the boat deck is as good as from the cage if you prefer not to dive. You will also see African Penguins and numerous sea birds on the trip. The whale seen most in the Walker Bay area is the Southern Right Whale, but other species do make an appearance occasionally. The whales start arriving in May in order to mate and calve in the shallow water. Peak time for whales at any one time is October, but many can still be seen in November, tailing off in December. Humpbacks migrate through the region between May and December, while Bryde’s whales are found slightly further off shore all year round. Occasional sightings of Killer Whales have been made. Dolphin species which may be seen in the region include the endemic Heavisides dolphin, Bottlenose and Common dolphins. 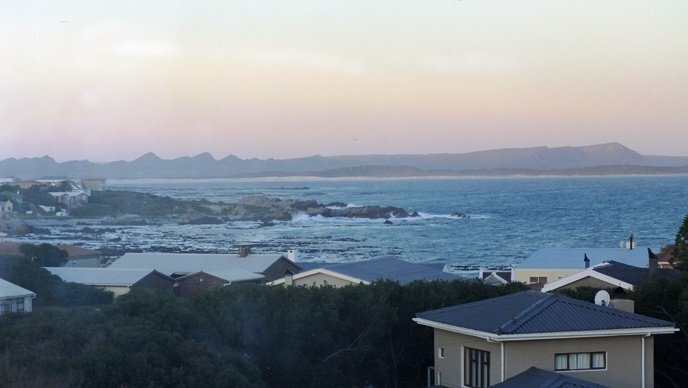 The Kleinbaai area is generally regarded as one of the best whale-watching sites in the world. Take a boat ride and get a close up view of these giants of the sea, the Southern Right Whale. From the shore or the boat you are almost certain to come across whales frolicking in the bay. The 7 km Duiwelsgat Hiking trail from Gansbaai through to De Kelders. Experience the only fresh water cave along the African cost, a beach of perfectly formed tiny shells and more. The Grootmelkhoutbos Hiking Trail in Franskraal in a conservation area where no plant or animal may be disturbed or harmed in any way. The trial is a circular route of 2km and takes just about an hour to complete. Take a walk at Platbos, a forest trail for bird and tree enthusiasts situated between Stanford and Gansbaai. Appreciate this unique forest ecosystem and dedicate the planting of a tree to someone special when you visit the Reforestation and Conservation Project. On the never ending sandy beaches at Pearly Beach long uplifting and soul-searching walks may safely be enjoyed. In the Uilkraal Valley a variety of mountain biking and walking trails are also available. Adventure lovers can explore the magnificent mountain views and the unique fynbos on automatic and all-terrain quad bikes. For the 4X4 enthusiast mountain tours and 4X4 trails are also available. Although the facility was purpose built for rehabilitation of marine birds, it also caters for creating awareness around the perils our marine birds face out in the wild. An Auditorium equipped with a big screen TV, which is linked up to the Rehabilitation area – the Bird Hospital and the Laboratory/Clinic, will enable any guest who visits the facility to see what is being done behind the scenes. This will prevent added stress on the birds in rehabilitation by minimizing the amount of people allowed in the critical areas. The Auditorium also sports one way glass overlooking the final Conditioning pen – where visitors can watch our birds in final preparation for release without any disturbance or interference. Tourism drives our conservation efforts, and the biggest tool we have in conservation is by educating the public around the conservation of these species we work with intensively. Embark on a horse riding adventure on one of South Africa's most diverse trails. Gallop along kilometers of unspoiled beaches and across sweeping grasslands or meander through magnificent mountains and vineyards.